Italy’s PM Matteo Renzi has named constitutional court judge Sergio Mattarella as his candidate, as parliament chooses a new president. In Italy, the president has a largely ceremonial role, but the vote is seen as an important moment for Matteo Renzi, after the resignation of Giorgio Napolitano earlier this month. Giorgio Napolitano, 89, stood down this month, citing “signs of fatigue”. No result is expected before February 1, as a winning candidate needs a two-thirds majority in initial voting. More than 1,000 people were due to vote in the procedure, which began on January 29, including both the Chamber of Deputies, the Senate and 58 regional representatives. Giorgio Napolitano was applauded as he entered the chamber to cast his vote in the first round, having told journalists that Sergio Mattarella was a person of “absolute loyalty and propriety”. 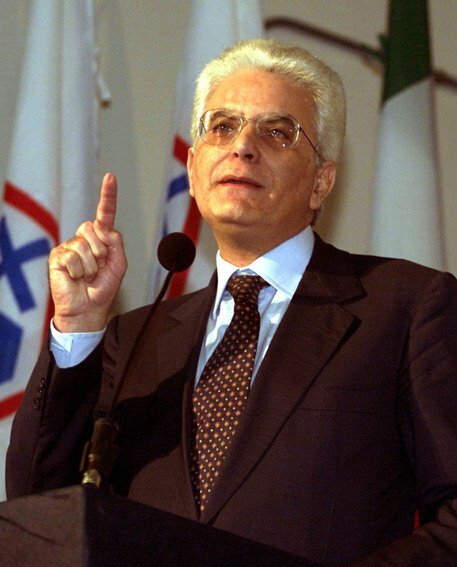 Sergio Mattarella once served as defense minister and is a member of Matteo Renzi’s centre-left Democratic Party (PD). His nomination was given unanimous support at a meeting of party voters, who number around 400. However, a candidate needs 673 votes to succeed in the first three rounds, and that is seen as unlikely. Italy’s RAI TV suggested Sergio Mattarella could attract some 561 votes. If voting extends to a fourth round on January 31, a simple majority of 505 would be enough for him to become 12th president of the Italian republic. Under the constitution, any Italian citizen over 50 can be nominated by lawmakers. The role has the key power of appointing a prime minister. Giorgio Napolitano named five prime ministers during his eight-and-a-half years in office. He retired earlier this month, aged 89, saying poor health meant he was no longer able to do his job as he wished. Giorgio Napolitano had only agreed to serve a second term in an attempt to end political paralysis after inconclusive elections in 2013. Matteo Renzi’s party will need further backing from other parties, such as Nichi Vendola’s Left Ecology Freedom (SEL) Party, former members of Beppe Grillo’s anti-establishment Five Star Party, and centrist parties such Civic Choice. However, the centre-right Forza Italia Party of former PM Silvio Berlusconi is opposed to Sergio Mattarella’s candidacy. Silvio Berlusconi was said to support another former premier, Giuliano Amato, and the ballot is secret, so rebel lawmakers could sabotage a vote, which happened when a large number of PD electors failed to support the party candidate two years ago. Although Silvio Berlusconi is no longer in the Senate, because of his conviction for tax fraud, he still leads Forza Italia.